Majority of the new items are vegan and vegetarian. Pret A Manger announced its new spring menu, featuring 20 new items said to reflect “the UK’s changing consumer tastes”. Of the 20 new items, eight are vegan whilst five are vegetarian, reflecting the changing nature of consumers taste preferences. 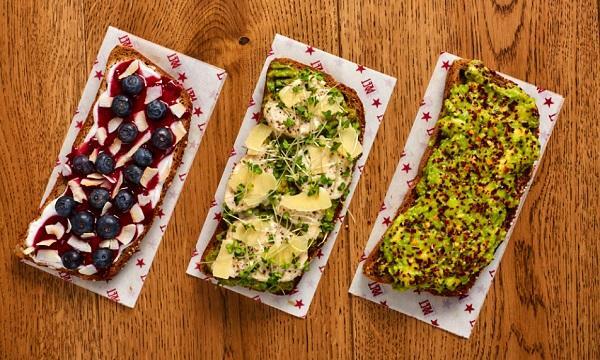 The new menu also includes a new product category of open sandwiches, made on Pret’s first gluten-free bread. Unable to find a suitable product in the market, the new bread is the standout of the revamped product line-up and is the result of nine months of development and close to 30 different recipes. It is made with oat, teff, buckwheat and quinoa flours, with millet, red quinoa, sourdough and treacle. Another noticeable feature of the new menu is its colourfulness. Vibrant yellows and greens stand out in its salads and pots. “Our team of chefs have taken inspiration from all over the world for this new menu and have worked incredibly hard to perfect each and every ingredient. From flavoursome roasted mushrooms, to our own gluten-free bread, which we honestly believe is one of the best out there right now,” Hannah Dolan said.